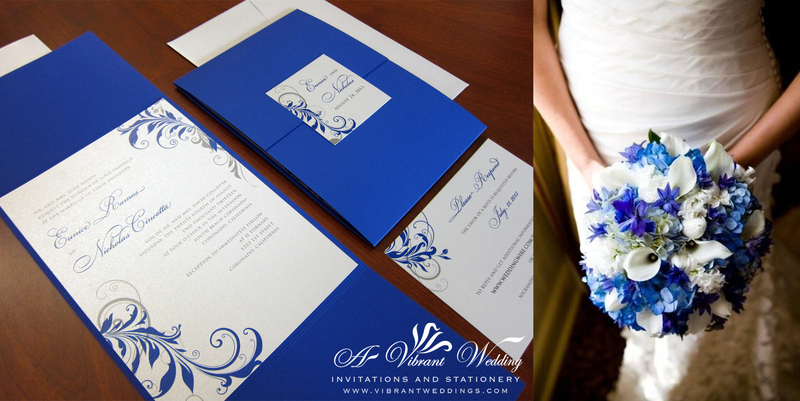 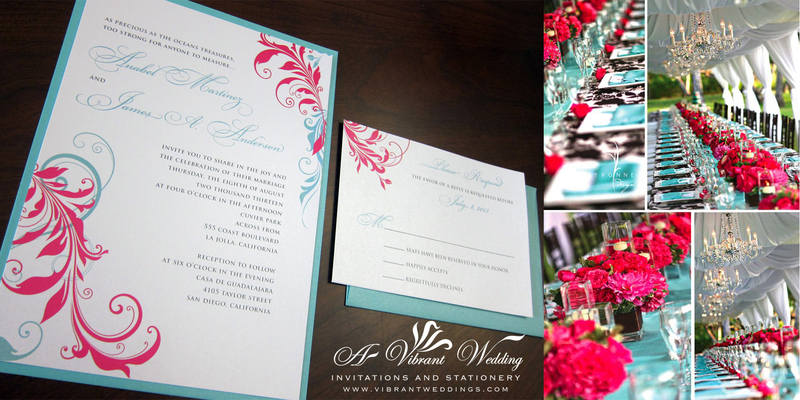 $16.00 per invitation suite fully assembled, for a set of 100 invitations. 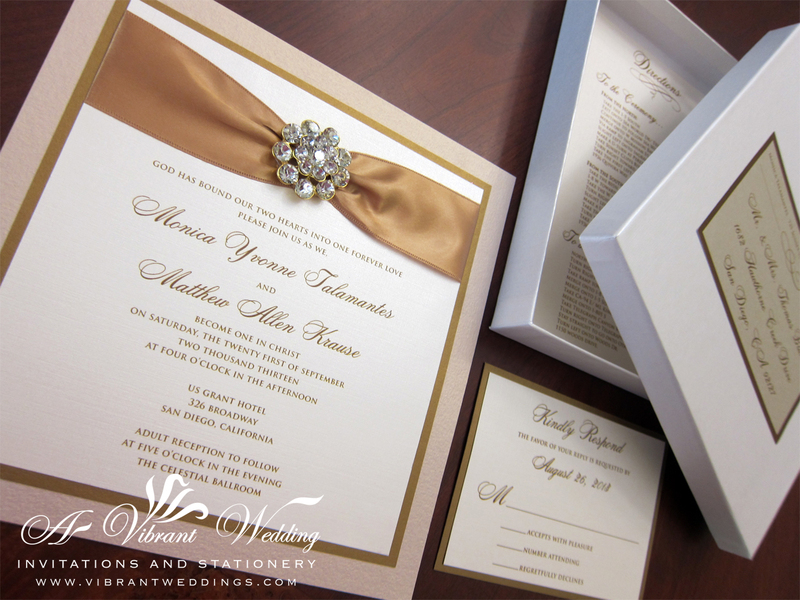 Minimum order of 25 invitation suites. 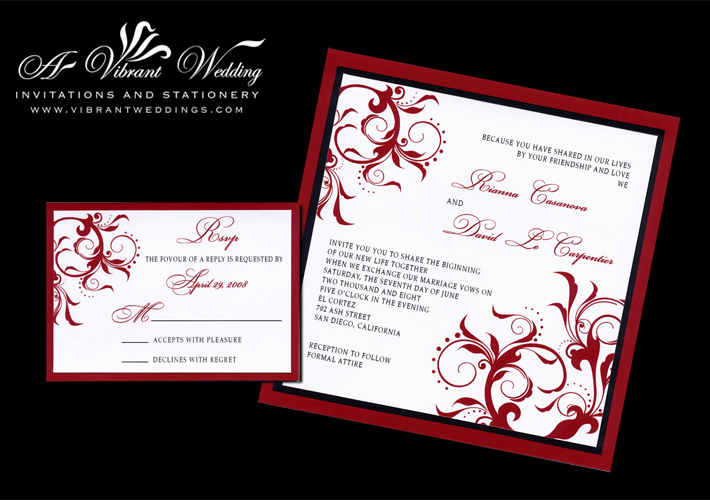 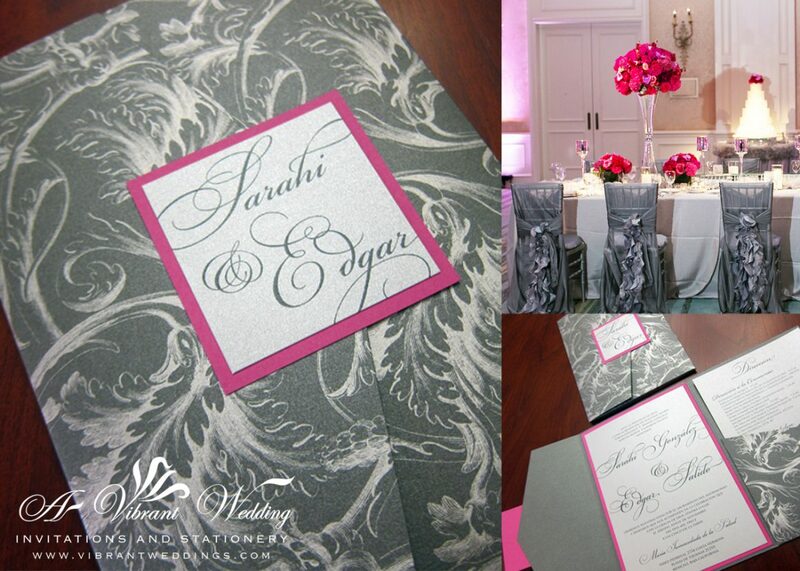 Included are 7×7″ Triple-layered flat invitation and a double-layered RSVP card with blank metallic envelope. 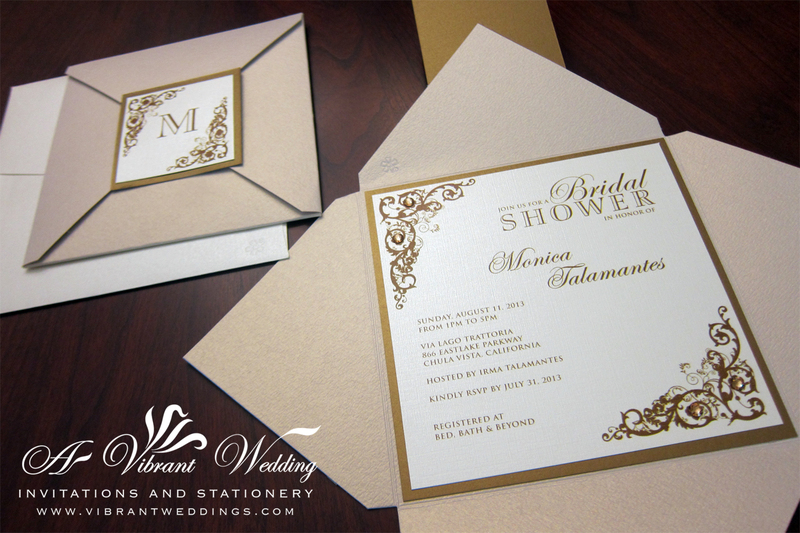 All metallic finish cardstock paper. 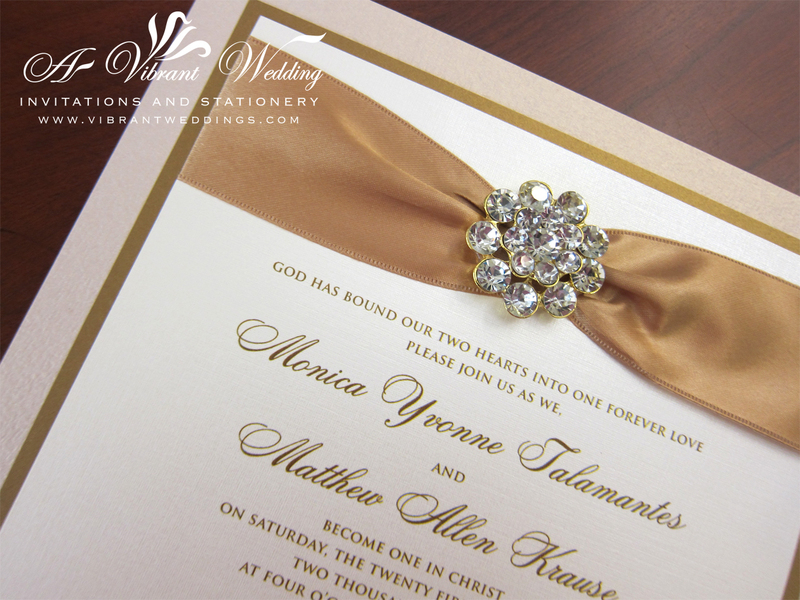 Satin Ribbon with centered 7/8 gold rhinestone jewel, inside a 7×7″ metallic off-white mailer box with top and bottom.